Between Berliner Dom, Humboldt-University and Stadtschloss the Nationalgalerie was created following the idea of Friedrich Wilhelm IV and is still one of the most important parts of the Museumsinsel. 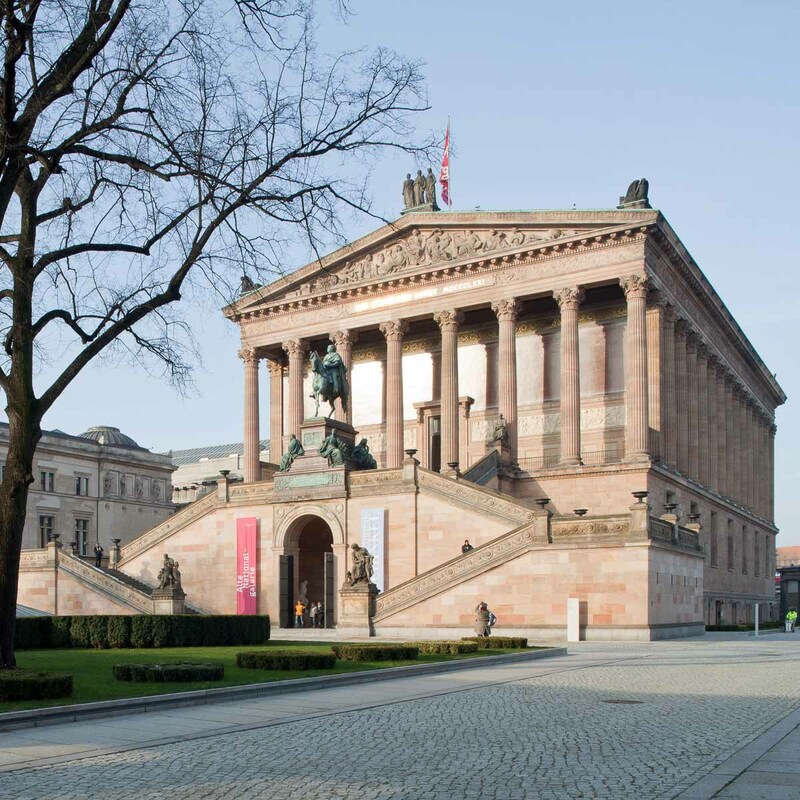 Since the fall of the Berlin Wall the collection has been separated into Alte Nationalgalerie with pieces from 19th century and in Neue Nationalgalerie with pieces from 20th century. Royally the temple-like building stands on a socket and reminds you of past times. But not only the impressive architecture that has been reconstructed several times over the years makes this place special. The collection inside the building is one of the most significant collections of works of art from 19th century. Highlights like the "Monk by the Sea" and "The Abbey in the Oakwood" from Caspar David Friedrich with gloomy atmosphere and delicate details are must-sees. Not only German painters are hosted here, but also some of the French! Edouard Manet for example fascinates visitors with "In the Conservatory". Ideally you drift around the gallery and enjoy the sight of pieces from Adolph Menzel, Claude Monet, Auguste Renoir, Auguste Rodin and many more.